It's possible to set the chain tension for a single speed or hub gear bike without chain tensioners, but this is an error prone process and it's much easier to get it right with them. These are suitable replacements for Batavus bicycles (may also fit other brands). See the additional images for a picture of each option. 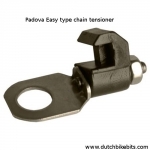 Priced per chain tensioner. 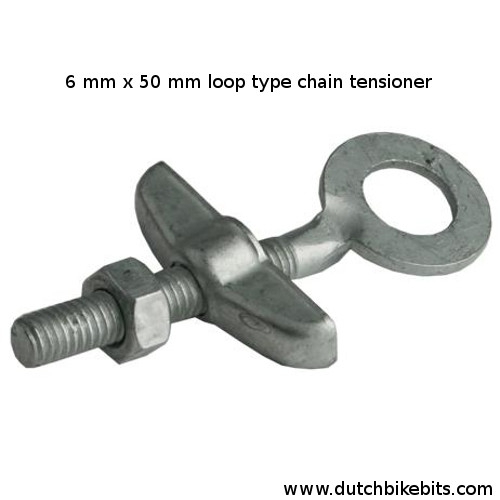 You probably need to buy two for your bike (one each for left and right of your rear wheel). 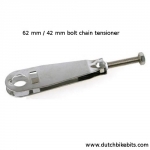 Not what you're looking for ? See also the chain tensioners for Gazelle bikes. 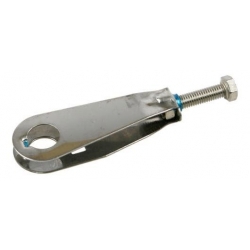 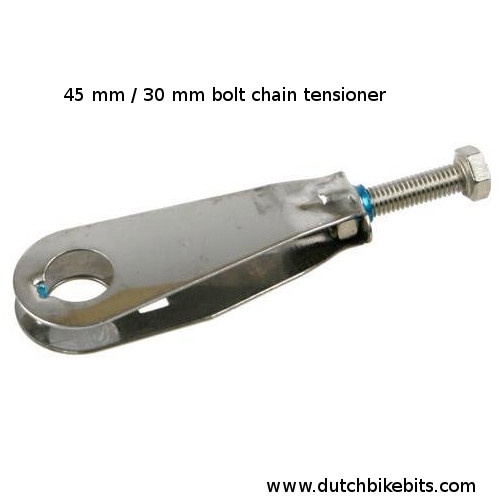 Chain tensioners are used to set the position of the rear axle so that the correct tension is set on the chain before tightening the bolts or quick release which take pedalling load.